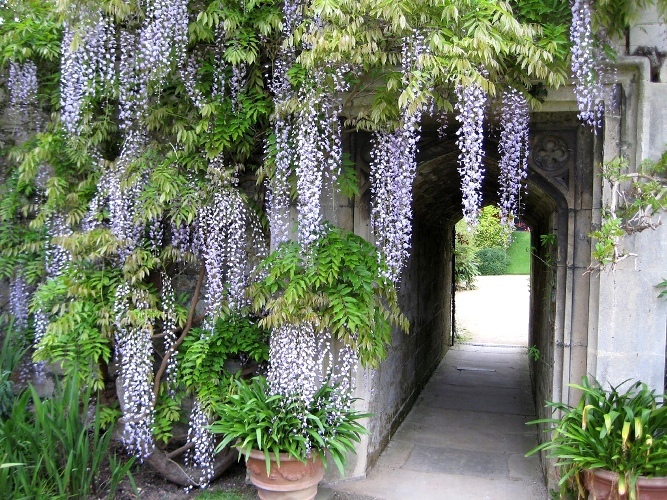 Wisteria can be a stunning addition to your garden. Can you think of a better way to beautify a chain-link fence? This beautiful, large woody vine is famous for its large, and sometimes fragrant, racemes (pendulous cluster of flowers) in purples, pinks, and white. However, this fast growing vine also puts nitrogen back into the soil and attracts many beneficial insects to the garden. A standout for the Forest Garden. 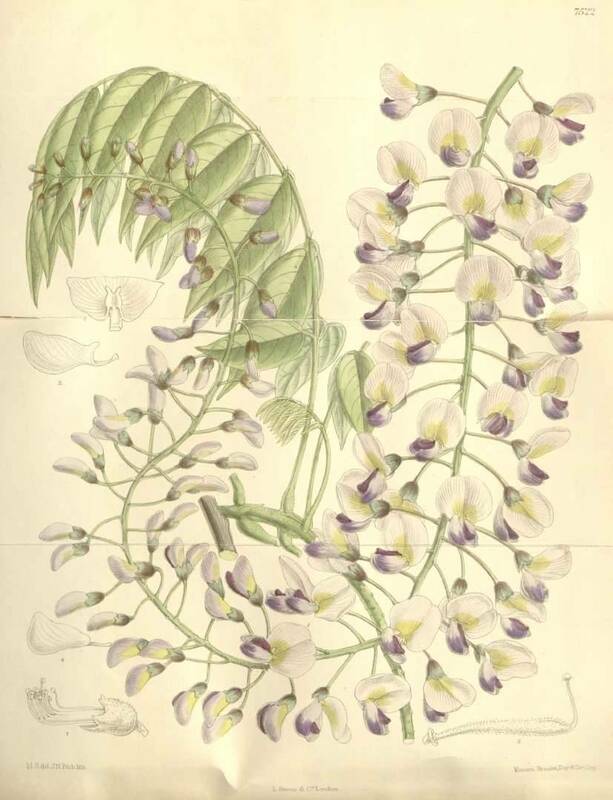 There are 10 species of Wisteria that are native to eastern North America and Asia (China, Korea, and Japan), but because of its showy flowers, it has been introduced all over the world. 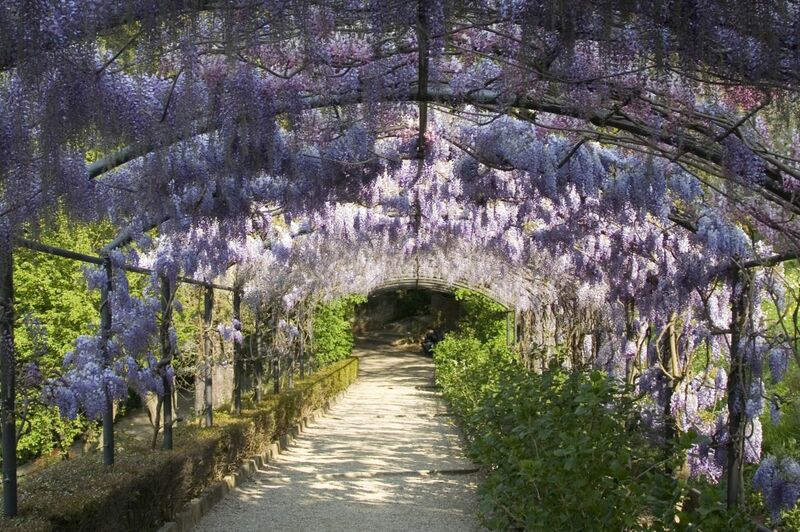 The world’s largest Wisteria vine is in California, planted in 1894, and measures more than 1 acre (0.40 ha) in size! 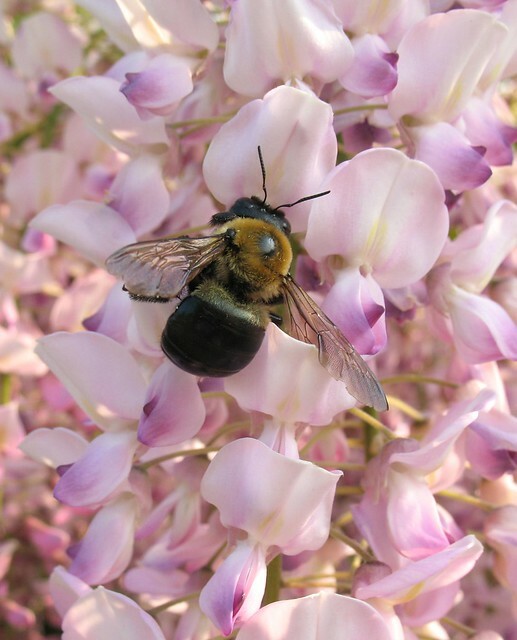 Wisteria’s abundant flowers attract bees and other beneficial insects. Edible Parts: There are many reports that the entire plant contains a toxic substance (a glycoside); however, there are only a few reports in the medical literature (http://www.ncbi.nlm.nih.gov/pubmed/8433406). There are also many reports of traditional cultures, especially in Asia, that eat many parts of this plant. It is quite likely that heat destroys this toxic compound. 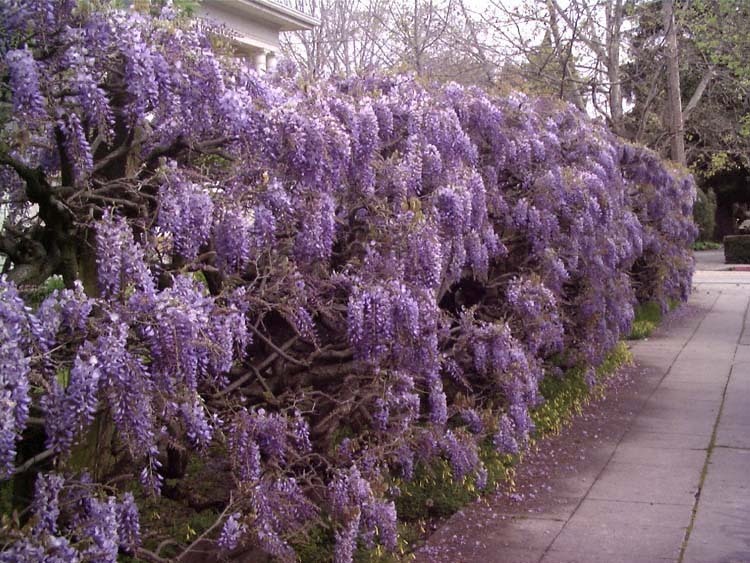 Here is a great article on Wisteria from Green Dean of Eat the Weeds (http://www.eattheweeds.com/wisteria-criteria-2/). Until I find more reliable information one way or the other, I’m not going to be eating a lot of Wisteria, but I am dying to try some Wisteria Fritters… I’ll let you know when I do. Flowers – washed and boiled or battered and fried into fritters. Seeds – cooked or baked. Baked Japanese Wisteria seeds are said to have a taste similar to chestnuts. Leaves – young, tender leaves are cooked and eaten, and may be used as a tea substitute. Nitrogen Fixer – puts nitrogen back into the soil which may be used as a fertilizer to other plants. Fiber from the plant has been used to make paper, thread, and cloth. Close-up of the Wisteria flowers. Chill Requirement: Likely considering the Hardiness Zone and the flowering nature of this plant, but there is not reliable information available. Years of Useful Life: Easily dozens of years. 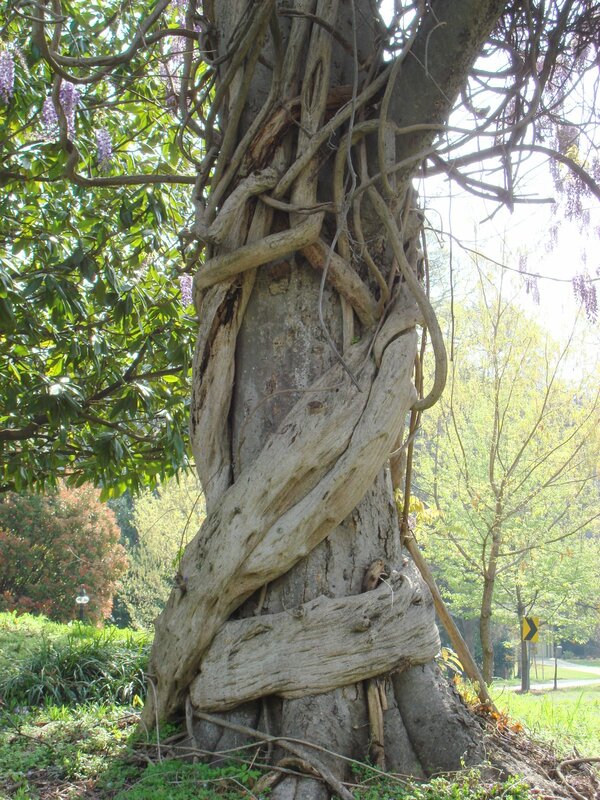 Many documented vines are over one hundred years old. 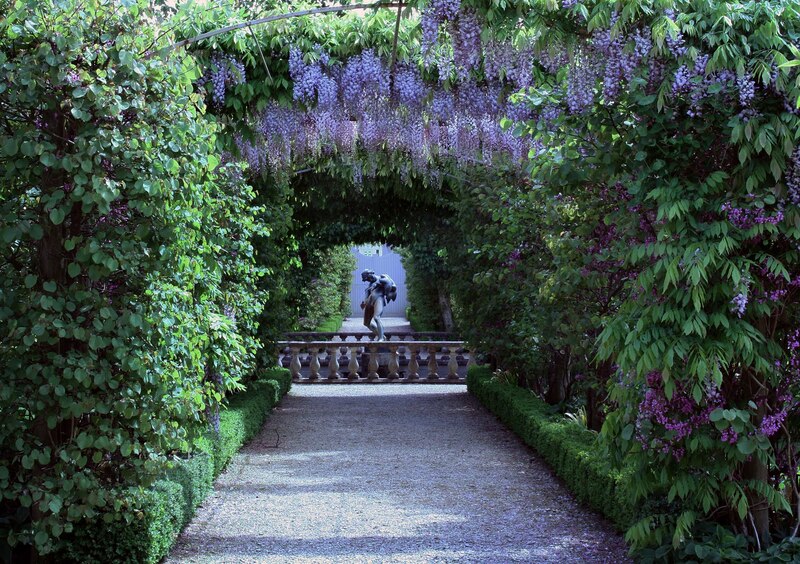 Wisteria vines can be large, strong, and aggressive – plan well. 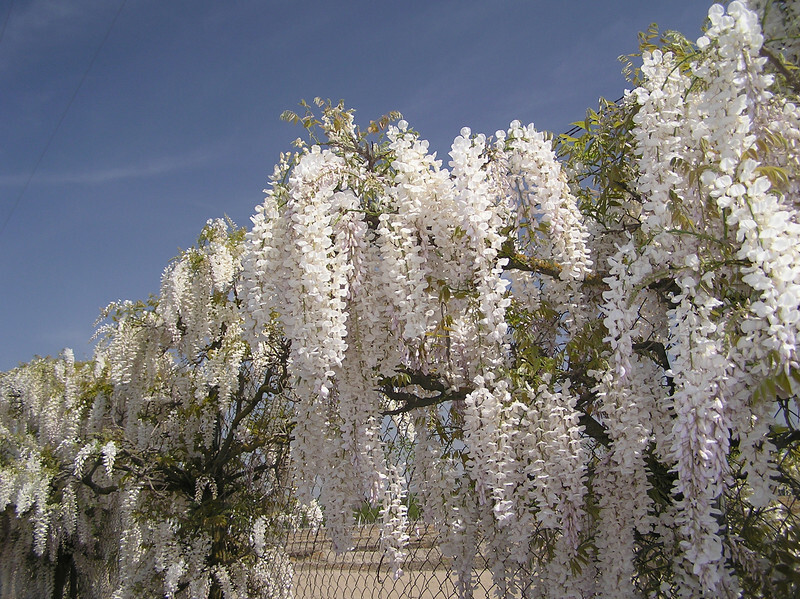 Avoid fertilizing Wisteria with nitrogen – this plant can produce its own nitrogen, so excess will inhibit flower production. Choose the location for planting carefully. The strong roots can destroy walls and pavement if planted too close. Propagation: Hardwood cuttings. Softwood cuttings. By seed, but plants grown from seed may take decades to bloom. Depending on the location and the amount of room you have, some pruning may be required to keep the vine in bounds. Can spread quickly to a large size. Consider this when choosing a planting location and when determining how much seasonal pruning you desire to do. Roots can be vigorous and expansive in some species.